I don't often read historical fiction but I've been very successful with some historical YA recently and I felt ready to give The Things We Did For Love by Natashsa Farrant a chance. 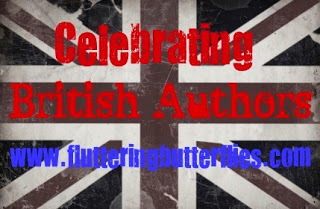 I'd read one or two reviews of it when it was published in hardback last year, but thankfully, when it came down to reading the book, I found that I didn't have any previous knowledge of the storyline that might have spoilt things for me. What strikes me the most about this book is that it is based on a true story. 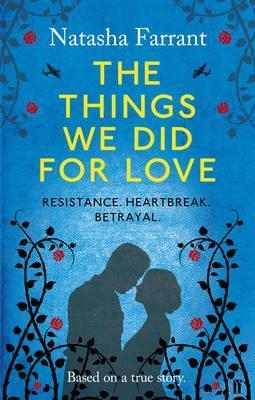 I find that really harrowing as some quite horrific things happen during The Things We Did For Love and the author has written a short piece at the end of the novel letting the reader know at which points she has fictionalised the account and what she believes did occur in France during WWII according to eyewitness accounts. I found that to be quite chilling and it really made me stop and think. While this book is mostly a love story between two teenagers, Luc and Arriane, during the French resistance in World War II, I found myself not particularly being emotionally invested in their romantic relationship. I liked both Luc and Arriane and I really liked their original relationship as friends who connect over their shared loss. But after years of separation, when Luc and Arriane are reunited and things are back on track romantically for them, there just seemed to be something lacking in their relationship. I don't know quite what it was missing, but either way, I still enjoyed the story that is built around them enough to carry on reading. The book isn't that long at all, and I liked reading of war-time France and how these teenagers spend their time and getting a feel for what it would have been like for people like Luc and Arriane. I found Luc's need to get involved in the war to be very believeable, even though it endangers his own life. Arriane's little brother really surprised me with the ways in which he involves himself in gaining knowledge of those around him and using that knowledge to his own benefit. And while I could see how Arriane was very unsure of Luc and their tenuous relationship, I felt the lengths that she went to in order to keep him from joining up felt really honest. I was expecting the 'betrayal' by another character to be of a different nature and I found myself really surprised by the way in which things end up. I'm really glad that I read this book. It was enlightening, reading of this small town in France where nothing much ever happens and how things changed very suddenly and dramatically during World War II. I've heard lots of good things about this novel. I'll keep my eye out for it. I must confess I haven't read a lot of YA historical fiction. I need to rectify that.